Is your faith real if it’s never tested? When Rev. Milton Agnew learns that his church’s Brazilian mission has been mysteriously destroyed, he rushes to the rainforest to see for himself. His friends and the natives they went to convert are all dead or gone. But the village isn’t empty. 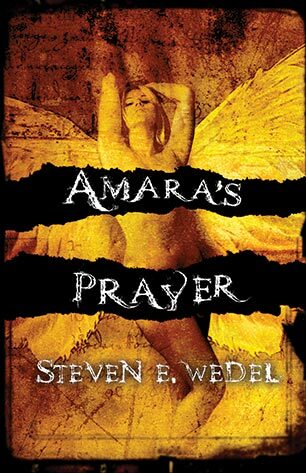 What he finds is a strange woman who says her name is Amara. Milton determines he will continue his mission work with this single unsaved woman, no matter how many laws of man he has to break. Back home in Oklahoma City, Amara causes Milton to lose his family, his career, and everything be believed in. Everything but Amara. After each seemingly innocent event she begs his forgiveness, and he gives it. Until she betrays him. What do you cling to when all is lost? Alone and homeless, stripped of everything he valued, Milton can finally see the truth about himself, what he believes, and the secret of who Amara really is. But can he save her and himself, or is it too late?